With this publication Aperture presents an elegantly updated and refreshed edition of the classic Henri Cartier-Bresson volume in the Aperture Masters of Photography series. With an introduction by notable curator Clement Cheroux, this edition includes new, image-by-image commentary and a chronology of this influential and iconic artist's life. 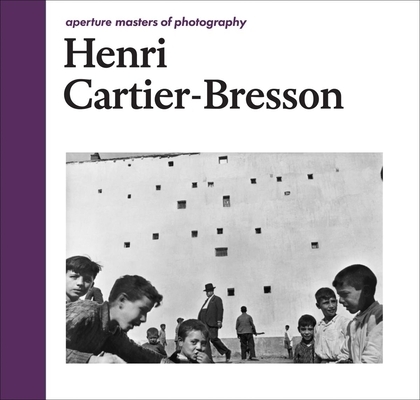 Initially presented as the History of Photography series in 1976, the first volume of the Masters of Photography series featured Cartier-Bresson and was edited by legendary French publisher Robert Delpire, who cofounded the series with Aperture's own Michael Hoffman. This redesigned and expanded version honors the selection of images from the original series, which Cartier-Bresson himself created with Delpire, encapsulating the spontaneity and intuition for which this legendary photographer is so celebrated.